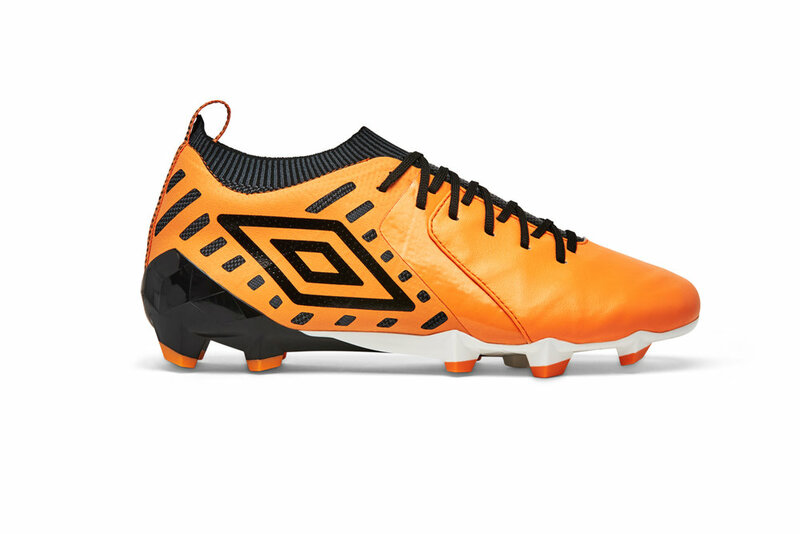 With the new Spring season on the horizon, Umbro is injecting a splash of colour into each of its boot silos. Speed, Touch and Control silos have all been updated with the distinctive new Pastel Pack. With many leagues worldwide heading towards an exciting conclusion, these new colours are an eye-catching way for players at all levels to stand out on the pitch. The three silos – Speed, Touch and Control – have been designed using insights on the particular requirements of each silo and extensive player feedback. The Velocita³ Pro features with an Island Paradise / Black colourway. Delivering multi-directional speed for players at all levels, the Velocita³ Pro provides comfort and fit through a special tri-layer construction on the upper, combined with an outsole designed to provide traction, agility and acceleration. The Medusæ II Elite has been updated with a Papaya / Black / White colourway. All about speed and touch, the boot combines a no-sew premium leather upper with a knitted sock to enhance fit and ball feel. Umbro’s lightweight speed outsole features a special stud configuration to aid traction and movement. The UX Accuro II completes the collection with a Patina Green / Black / White colourway. Launched earlier this year, the UX Accuro II is built for control and comfort. The Umbro Pastel Pack is available from today.